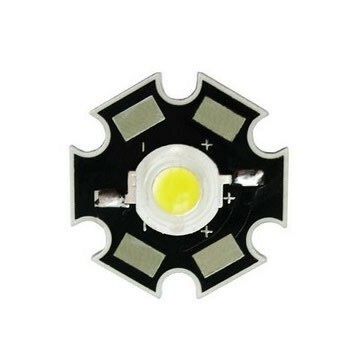 1 Watt LEDs are widely used in Emergency lights and LED lights. Most of the circuits use 4 volt battery having 0.5 to 4 Ah capacity. The 1 watt LED is rated 3.6 volts maximum so we need the correct value resistor for LED to get maximum brightness. Let us see how the LED resistor value is determined.